Inspired and inspiring, sensitive, daring and insightful, Andrea Keller is one of the brightest stars of the Australian jazz and improvised music community. A restless creative spirit, the composer and pianist blends her influences in an exemplary tasteful and seamless manner and it comes as not much of a surprise that she is now joining forces with the Song Company, the brilliant a capella vocal ensemble of classical music performers, to present a unique project that allows her to revisit her Czech heritage. In the middle of touring around Australia, she took some time to talk to Australian Jazz Net about this collaboration. Australian Jazz Net: How did the Postcards From Prague project come about? 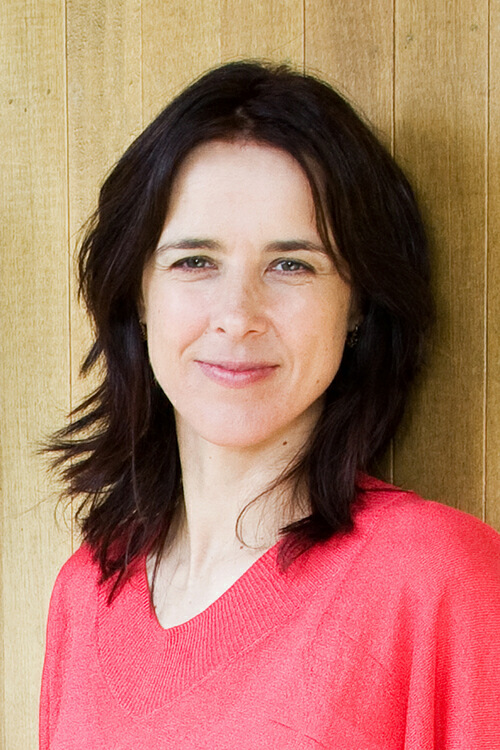 Andrea Keller: When artistic director Roland Peelman approached me about doing a project with the Song Company, he was keen to find an angle for the program; when I mentioned that my parents were Czech and I was very interested in the music of my heritage, it seemed natural that this became the angle. AJN: What does your Czech heritage mean to you? AK: My parents migrated to Australia in 1968; having escaped the regime, they couldn’t go back, at least not until the Wall came down. I was born in Sydney and I have some vivid memories of my childhood within the czech community, the socialising aspects: the music, parties, and especially camping trips. The adults would all gather around a campfire, singing Czech songs. They all knew them. I have fond memories of these events. The music was such a source of joy. I went to Prague for the first time in 2002, as a result of winning the Freedman Foundation Jazz Fellowship. I took my first child, who was three years old at the time, and I lived there for six months. It was a very emotional time, because I met my grandmother for the first time and was lucky enough to spend a lot of time with her. AJN: The Jazz scene in Prague is amazing, isn’t it? AK: Yes, there is a beautiful jazz community. I got to play with a lot of the musicians and even played a lot of my music. I was fortunate enough to establish musical friendships which have continued on – I’ve been back a number of times. One of the things I wanted to investigate while there was Czech and Moravian folk music. My grandmother had bought me some volumes of print music which I had plans to do something with, but I never have the opportunity, until now. AJN: So, how much ‘jazz’ is there in this project and how much ‘folk’ or ‘classical’ music? AK: It is very mixed; There is certainly not any swing element, but that doesn’t define jazz. The important ingredient in jazz is improvisation. I do improvise in the concerts, but the singers don’t. It’s not their area of expertise. There are songs by Iva Bittova, who’s a contemporary singer, violinist and composer, who works a lot with jazz musicians. Some of her songs definitely have a strong sense of groove in them. And we play some of my songs, ones I wrote while I was living in Prague in 2002, that fall into the ‘jazz’ box, in a way. The program also includes the music of Leo Janacek, which brings another element to the sound. AJN: What was your main concern, while setting the program? AK: I wouldn’t necessarily call it a concern, but I really wanted to ensure a cohesion to the sound. I think there is a Czech flavour that comes across and it manages to hold these different genres together very nicely. It was interesting for me, coming from a jazz place, to work with six classical singers. I was wondering how it was going to turn out; it was actually quite an easy journey. They are extremely talented, they have great ‘ears’, all of them; and they are very open to collaborating with different musicians and genres. AJN: How did you personally experience this process? AK: I was very thankful for my classical training at the Sydney Conservatorium High School. I had enough skills to feel confident in this different musical world; if I couldn’t read scores for example, it would have been a daunting task. It also reaffirmed to me how valuable it is to collaborate in situations beyond your usual comfort zone. To be able to collaborate with different musicians, perform to a different audience, with a different expectation of communication; I always learn a lot in these situations. AJN: In what way is the jazz setting different than the classical? AK: Jazz is much more about a dialogue between the audience and the performers, which is not so much the case in a ‘classical’ performance. But the classical audience is equally receptive; there is usually a meet and great after the concert and they are keen to talk about their experience of the music, which is really nice. But I’m not concerned about the distinction at all. I just want the music to sound good. I hate the musical boxes, the genres, the titles; they’re mostly misleading and counter-productive. It is really naive to have concrete definitions of music in your mind. In reality, it’s not a fixed thing; the term jazz itself has always moved with the times, from Louis Armstrong to Evan Parker and beyond. AJN: So what does the word ‘jazz’ mean to you? AK: It describes a musician searching for personal expression that reflects their experiences in the world. This is part of the honesty and individuality of improvisation which is the core of jazz: the search for the new. AJN: How would you describe this project to someone not familiar with all these references that are mentioned so far? AK: It is really beautiful music, richly emotional and extremely pleasing to listen to. And it is performed by a really talented bunch of musicians; it is really worth experiencing.